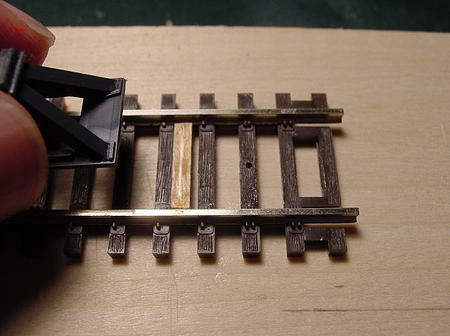 Here's a simple tutorial for turning those plastic Walthers Hayes track bumpers into functional models...that really work! Step 1 - Using a razor saw and miter box, cut a piece of 10 x 10 scale lumber into 5/8" long track bumper ties. You will need (2) track bumper ties per track bumper. 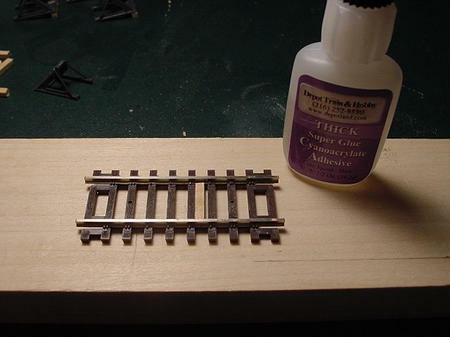 Step 3 - Place a light coating of CA onto the top of the track bumper tie. Step 4 - Place the rear of the track bumper on top of the track bumper tie so that the back edges are flush with one another. Once the CA begins to take hold, remove the track bumper from the template. 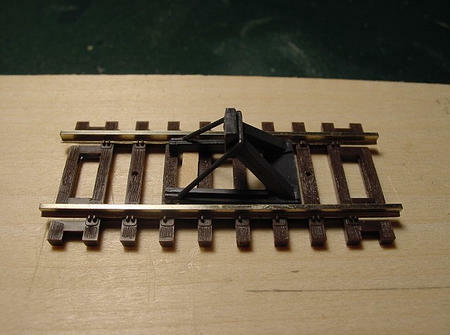 Step 5 - Place the other track bumper tie into the track template so that it is 3 spaces from the rail tie you just glued to the track bumper. (The new track bumper tie should be situated directly underneath and slightly in from the opposite end of the track bumper.) Use a pencil to mark where the track bumper will lay across the other track bumper tie. 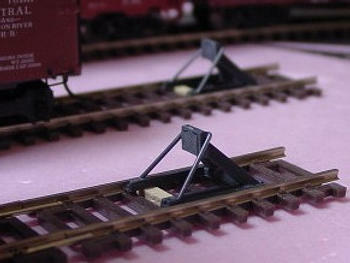 Remove the track bumper and place a small drop of CA on each end of the track bumper tie. IMPORTANT NOTE! As you follow Step 7, apply light but constant pressure downward AND inward, so that both track bumper ties remain flush up against the inside wall of the rail ties. 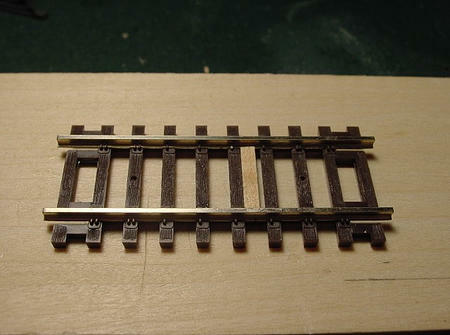 As the CA begins to take hold, carefully remove the track bumper from the track template and let dry. For aesthetics, paint the track bumper ties a dark color to match the rail ties. The nice thing about these is that you can easily pull them up and put them back down on ANY straight "unballasted" section of track. 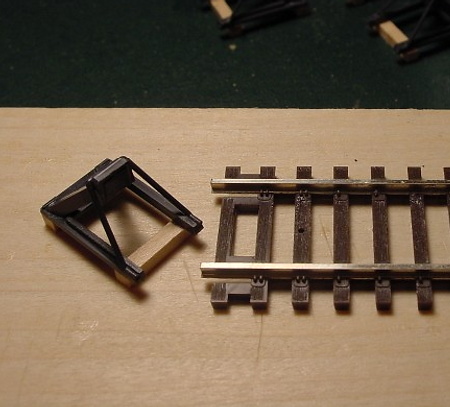 (Obviously, they won't work on curved sections of track.) This tutorial is written for Code 83 Atlas track but it should be easily adaptable for any other code or scale. 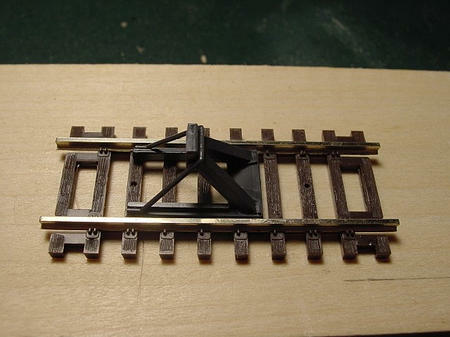 Athearn BB F7 was propelled head-on into the modified track bumper using the above settings. 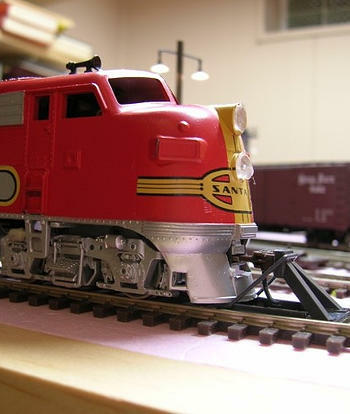 Q: Why did you pick the Athearn BB F7 for your test? A: Good question. 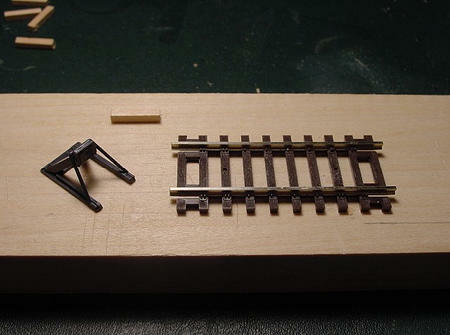 I chose the Athearn BB F7 primarily for its heavy construction and to take advantage of its "inertia tendencies" - i.e. it's both heavy AND fast - AND the fact that, if the F7 went crashing to the floor during the testing, I wouldn't cry too much. The modified track bumper stopped the speeding F7...COLD!...with no ill-effects or stresses to either. flexeril and WRustyLane like this. Interesting. I would not have expected such good results! Yea, it was a pleasant surprise for me, too. Kind of amazing what just two small pieces of wood can do to the integrity of a plastic replica. 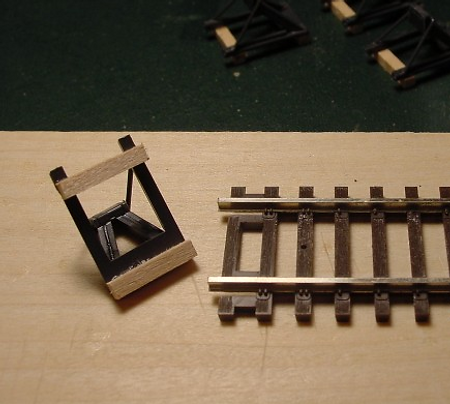 And, once the bracing is painted a rail tie brown, they virtually disappear. Very nice. I think the use of force actually tested the bumper to its nth degree. Just glad you didn´t hurt the engine. 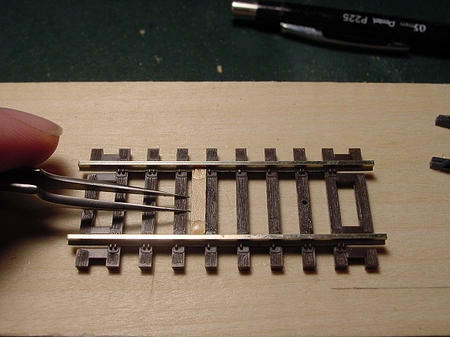 I´ve often wondered why they use rail bumpers for, so now I know. They actually work as designed. Thanks for the post.